With the Arnold Stage Combat Sword in your hand, fend off your foes while wowing your audience. This spring steel stage combat sword features an authentic medieval appearance that has been made safe for performance and costume use. 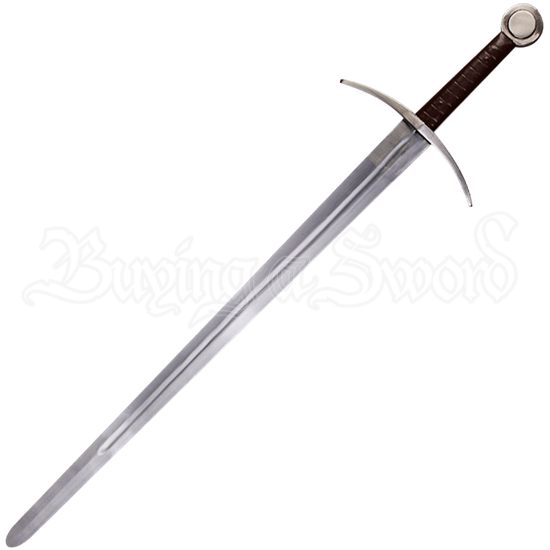 Inspired by 14th century sword styles, the Arnold Stage Combat Sword features a round pommel, a curved cross guard that is slightly angled upward, and a leather wrapped grip attached to its blunted, high-quality spring steel blade. Specially designed for stage combat, the tip of this medieval sword is rounded for safety. 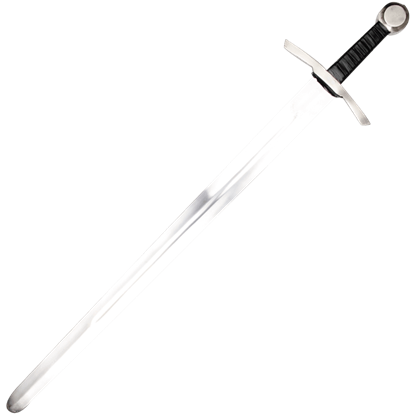 As a result of its resistance testing process, this stage combat sword has minor notches along its blade that are not defects in its construction. For impressive battles that are safe yet authentic looking, wield the Arnold Stage Fight Sword at your next acting event!